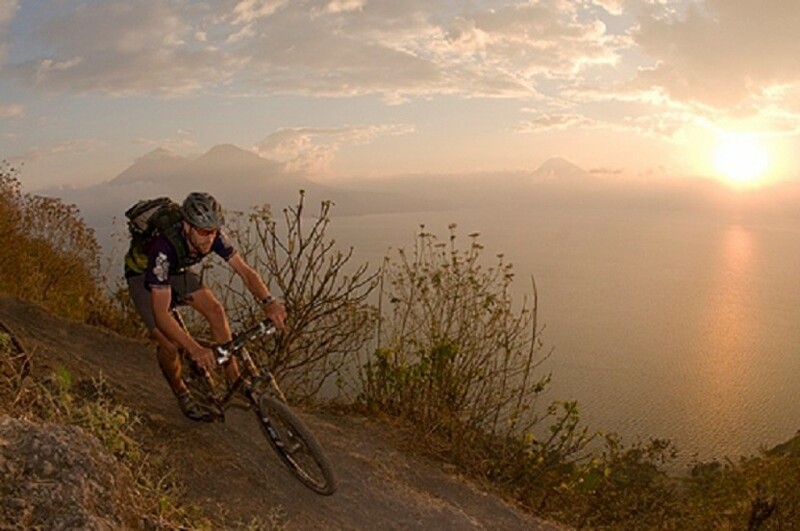 This is an epic cross country ride, literally from the Antigua Valley to lake Atitlan. It can be done in 2 or 3 days depending on how much you want to stretch out the fun. The 2-day trip is a bit longer each day but overall more direct than the 3-day ride. We are able to take advantage of some extra single-track closer to Antigua on the day one of the three-day ride to stretch it out. It doesn't necessarily mean the 3-day ride is any easier, perhaps slightly shorter days. However you decide to go, we head out from our hotel in Antigua, we make a loop up onto the ridges to the north of town, riding a mix of coffee planters trails and technical single-track. Both rides after day one pretty much follow the same track, old trade routes and foot paths that criss-cross the high plateaus. The ride drops through and climbs out of various ravines making its way across the mountainous topography towards Lake Atitlan. The final day has a larger paved climb up to the rim of the volcanic caldera of the lake. After lunch overlooking the lake, the ride drops in on some of Guates best trail down to Pana. 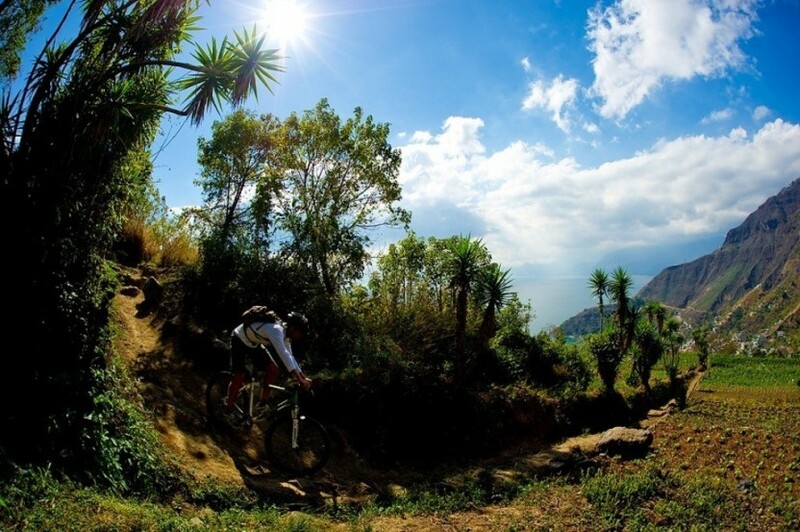 This is an epic cross country ride, literally, from the Antigua Valley to lake Atitlan. It can be done in 2 or 3 days depending on how much you want to stretch out the fun. The 2-day trip is a bit longer each day but overall more direct than the 3-day ride. We are able to take advantage of some extra single-track closer to Antigua on the day one of the three-day rides to stretch it out. It doesn't necessarily mean the 3-day ride is any easier, perhaps slightly shorter days. However you decide to go, we head out from our hotel in Antigua , we make a loop up onto the ridges to the north of town, riding a mix of coffee planters trails and technical single-track. Both rides after day one pretty much follow the same track, old trade routes and footpaths that criss-cross the high plateaus. The ride drops through and climbs out of various ravines making its way across the mountainous topography towards Lake Atitlan. The final day has a larger paved climb up to the rim of the volcanic caldera of the lake. After lunch overlooking the lake, the ride drops in on some of Gate's best trail down to Pana.